Inspired by its understanding of the sun, the Esthederm Suncare range offers a positive approach to solar protection. Patented formulas, velvety textures, a warm ‘signature’ fragrance and unique youth-enhancing performance: the Institut Esthederm philosophy guarantees optimal results in terms of both beauty and safety. 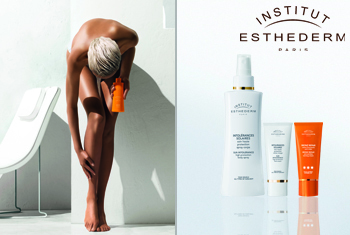 A complete suncare range, defined according to skin type and the sun’s intensity, the Institut Esthederm suncare range offers targeted suncare for the most demanding skin.